If you're a hobbyist looking to get into electronics, there may come a time when you come across a piece of equipment called a solenoid. This article will provide you with some insight about solenoids: how they work and what they are used for. A solenoid is a coiled length of metal wire. In most applications, the wire is looped around a metallic core, called an armature. Solenoids feature two cores--the movable armature and a stationary core. As voltage is passed through the solenoid, a magnetic field is produced. This result is why solenoids are commonly used as electromagnets. 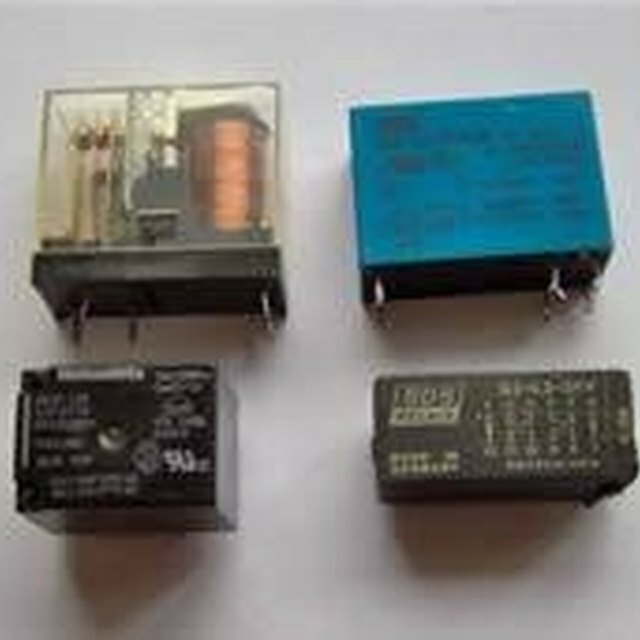 As electric current is passed through the coils of the solenoid, the magnetic field is created. The strength and magnitude of the magnetic field is determined by how many coils the solenoid features. In solenoids, the armature is movable: therefore, as voltage is passed through the coils, the armature moves to increase the flux linkage. It does this by closing the gap of air between the two cores. The movable core, or the armature, is spring-loaded so when the voltage is turned off to the solenoid, it retracts back to its original position. Solenoids are used in a variety of applications, from electronic hobbies to appliances. Most commonly, they are found in applications that require an automatic on/off feature, like an electric lock or latch. Solenoids are also commonly found in appliances throughout your home or office, like in your washing machine and copy machine. They are used in automobiles and they can even be found in pinball machines. Because solenoids are used in so many different applications, there are many different types of them. Some of the more commonly used solenoids include: Electromechanical solenoids--This is the type of solenoid mentioned earlier in this article. Pneumatic solenoids--Pneumatic solenoids are used as a switch in most pneumatic devices. As it opens and closes, air or gas is passed along to its appropriate point. It is also used as the interface that bridges the gap between the pneumatic system and the electronic controllers that manage them. Hydraulic solenoids--Similar in function to pneumatic solenoids, the primary difference is that hydraulic solenoids control the flow of fluids, usually oil. This type of solenoid is commonly used to control the amount of oil used in automated metal-fabrication equipment. They are also used to control the flow of transmission fluid in automatic transmissions. Starter solenoids --Used in automobiles, the starter solenoid, sometimes called the starter relay, is part of the ignition system. As the key is turned, voltage from the battery and ignition switch causes the solenoid to close, which results in the engine starting up. When one has a dead battery and they try to turn the car on, the clicking sound they hear is coming from the starter solenoid. The term "solenoid" is used in a variety of different industries. In the engineering field, the term solenoid can also be used to describe transducer devices. Most professionals who work with solenoid valves will usually refer to them simply as solenoids. In physics, the term refers to exactly what it is--a metal coil of wire around a movable core. An automobile starter solenoid can also be referred to as a linear solenoid. Donovan, Dave. "What Is a Solenoid?" Sciencing, https://sciencing.com/what-solenoid-4902174.html. 24 April 2017.